In The Second Assistant, readers across the country found a heroine they loved to love in Lizzie Miller, the smart and witty East Coast girl clinging for dear life to the bottom rung of the Hollywood ladder. But no more coffee runs and sorting thumbtacks by color for Lizzie; she's been promoted. As first assistant to Scott Wagner, now president of The Agency and one of Hollywood's premiere movers and shakers, she's making decisions and learning the ins and outs of the business. But unlike the other airhead assistants, she's not being wooed by the glamour and mystique of Lala Land. At least, that's what she tells herself. But with a fabulous boyfriend and visions of Harry Winston diamonds and a black AmEx dancing in her head, it is getting harder for Lizzie to keep her pumps firmly on the ground. 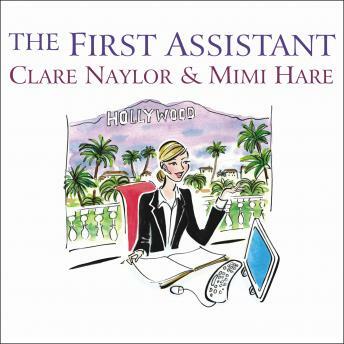 In The First Assistant, Clare Naylor and Mimi Hare have again joined forces to take a wry and hilarious look at the wheeling, dealing, schmoozing, and snubbing that make Hollywood the cutthroat capital of the world. Readers are hungry for more-and The First Assistant is just the romp into the red-carpet world that they crave.